King Cake with a tiny baby figure hidden inside. The King Cake is a colorful Mardi Gras dessert that has special meaning and an added surprise. 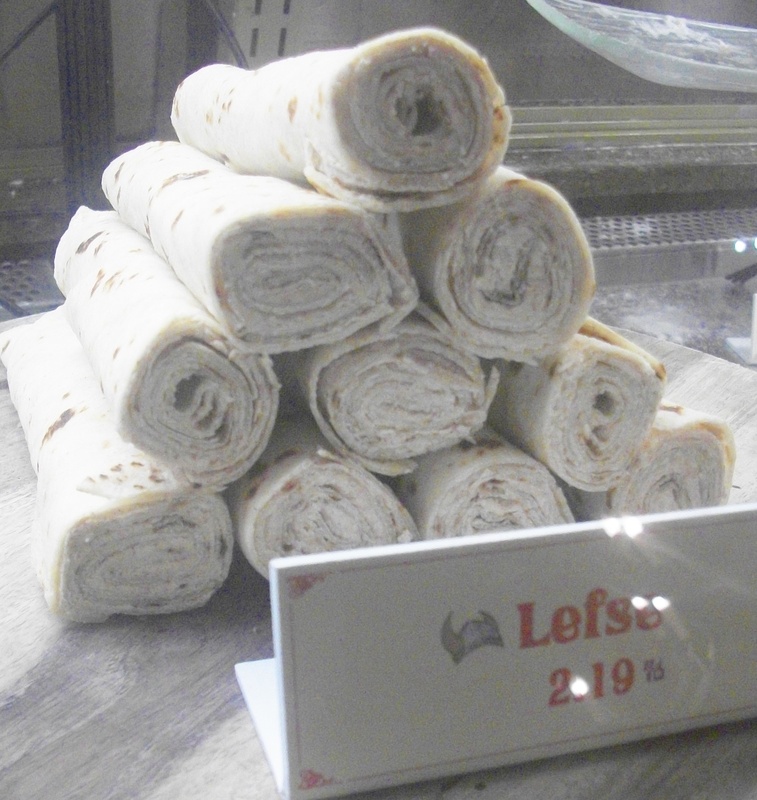 This cake has its origins in France and Spain. 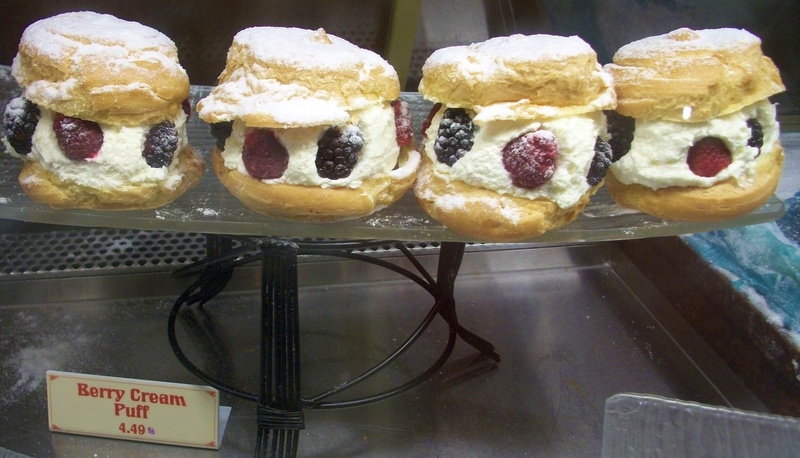 It is shaped like a crown and is part of the Mardi Gras – Fat Tuesday – celebration. The sweet treat is enjoyed before the 40 day Lenten fasting period leading up to Easter. It’s more like a breakfast coffee cake than a birthday cake. Hidden inside each cake is a tiny plastic baby symbolizing the Christ Child. Whomever receives the piece containing the hidden treasure is King for the Day and is said to have good luck for the rest of the year. Royal Cupcake at Port Orleans. No baby figure hidden inside, but it is filled with buttercream frosting. You can celebrate Mardi Gras this week with a Kings Cake-inspired Royal Cupcake at Port Orleans Resort. Or, stop by the Sassagoula Floatworks & Food Factory for a delicious yellow cupcake topped with purple, green, and gold frosting and a white chocolate piece decorated with fleur de lis, crowns, and try their famous freshly-made Mickeys beignets! Disneyland: Lemon sponge rolled cake or a lemon Royal Cupcake, with lemon butter crème inside and decorated with royal-colored frosting. At Disneyland, the Mardi Gras cupcakes are lemon flavored this year. Wearing my new Mickey Ears from Aulani. We were lucky to get last minute breakfast reservations for 4 at the Kona Café, and super lucky that Christian was able to join us before heading off to work in Tomorrowland. 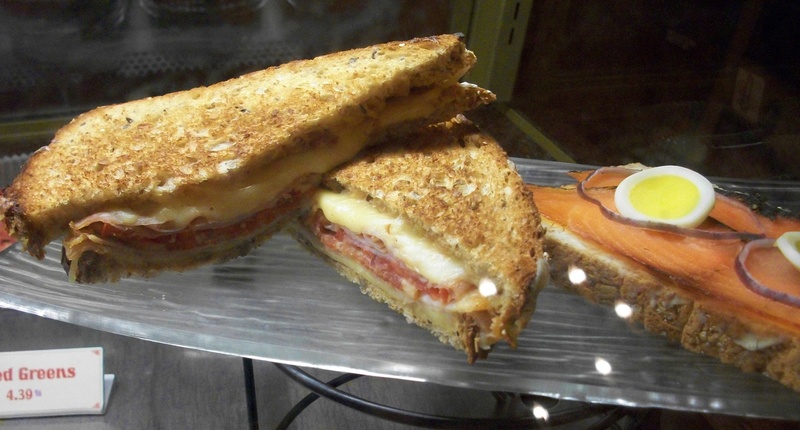 The Kona Café boasts the famous Tonga Toast as their signature breakfast dish. Tonga Toast is a deluxe French Toast…banana-stuffed, fried sourdough bread rolled in cinnamon sugar and served with a side of strawberry compote. It’s absolutely incredible and one of our favorite Disney foods. The Breakfast Menu features pancakes, French toast, omelets, eggs, bacon and sausage. We recommend ordering a glass of the Liliko’i Juice for breakfast (orange, passion fruit, and guava juice blend). Disney fans will recognize this as the famous POG Juice. Kona Cafe: A Taste of the Islands. The Kona Cafe. We were seated on the left under the mask. Our reservation was for 9:50am and we were seated st 9:55am. Food came up very fast. The Kona Café is located at Disney’s beautiful Polynesian Village Resort where the sights and smells of the Hawaiian Islands are enough to make anyone want to stay! Whether you are a guest at Disney’s Polynesian Resort or not, you’re welcome to dine at the Kona Café. Make a dining reservation and you’ll be allowed to park at the Polynesian for free. If you’re staying at Grand Floridian or at the Contemporary Resort, just hop on the monorail and come over over. In case you were wondering, “Kona” is a Hawaiian name meaning “Lady”. Christian heading off to work at Cosmic Rays after breakfast. Cast Member note: Disney cast members get a 20% discount at the Kona Cafe. It’s a beautiful day. Sunny and 74 degrees. Tonga Toast should always be served with a slice of fresh pineapple! Slice bread loaf into 3 to 4 very thick pieces. Use a knife to create a slit in one side of the toast, then stuff banana slices into the toast. Repeat with remaining bread pieces and bananas. Garnish with fresh sliced strawberries and serve with strawberry compote and maple syrup. Making the strawberry compote: In a small skillet over medium heat, combine strawberries, sugar, lemon juice and vanilla. Bring mixture to a simmer and cook until the strawberries begin to break down and the mixture has thickened slightly, about 5 minutes. Remove from heat and gently mash the compote with the back of a fork. 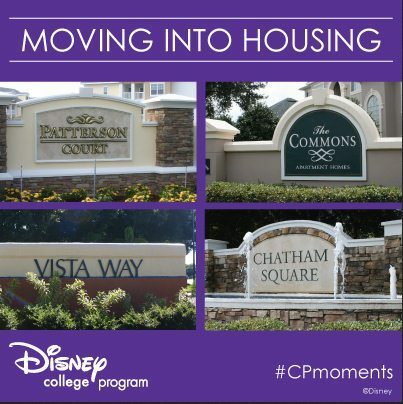 There are four huge DCP housing complexes at Disney World. The DCP apartments at Disney World have one to four bedrooms, with two or three participants in each bedroom. Physical layout of how the DCP apartments are to each other. The apartment rent includes all utilities such as electricity, wifi internet (S-L-O-W! ), TV cable hookup, waste disposal, recycling, heat/AC, local phone service, 24 hour gated security, free bus transportation to all the Disney parks, resorts, and Disney Springs (for work and playtime! ); as well as the various resort-style amenities, such as pools, hot tubs, outdoor grills, gyms, basketball, etc. available at each housing complex. You can rent all these things for free at the front desk of each housing complex. Interested in what the Spring 2019 DCP fees are when you accept your offer? December 2018 Update: Alcohol will now be Allowed in all DCP apartments. No more Wellness/Under 21 Apartments. Smoking Update: All DCP apartments have been smoke-free for years, but now Housing is limiting where you can smoke on property (i.e., one of our roommates used to smoke out on the balcony. That’s no longer allowed.) We think this is a good thing! May 16, 2017 email from Housing regarding smoking on property. “Smoking inside the apartment” is now a Code Violation. All DCP apartments are inspected monthly! The DORMS apartment selection process. Bonus Tip: Disney Housing offers a free monthly Housing Event social for all residents. Lots of free food, music and dancing, and fun character meet and greets! Jan 16, 2019: Life is the Bubbles! 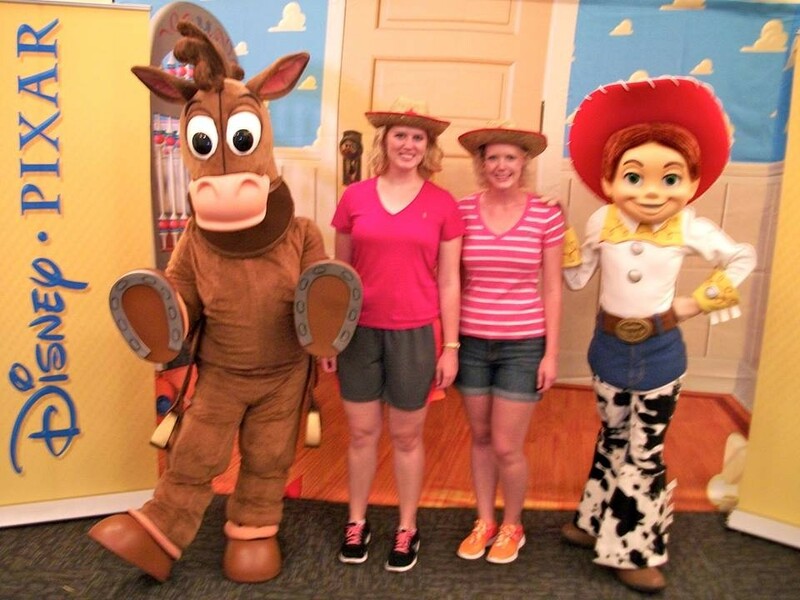 At our first DCP Housing event, we got to meet the characters from Andy’s Room (Toy Story) and they gave us free straw hats! Interested in learning about the DCP Housing available at Disneyland? It’s called Carnegie Plaza: Carnegie Plaza at Disneyland. Which role are you most interested in??? Mickey Mouse came to the groundbreaking ceremony! Disney is building 2,600 new apartments for its College Program and that could mean adios Vista Way! In February 2018, Disney confirmed that all 2,600 planned apartment units were for the Disney College Program with any units not occupied by the program being leased to current Disney employees. The application also confirmed that the new apartments would house educational facilities within them. (So Disney University would be moving too). Disney currently owns or leases four local complexes to house its college interns with a total of 1,580 units. The only one owned directly by Disney is Vista Way, while the others are owned by third parties. These would be closed and sold when Flamingo Crossing opens in Fall 2020. This would also greatly simplify the current CP bus routes from the four apartment complexes.